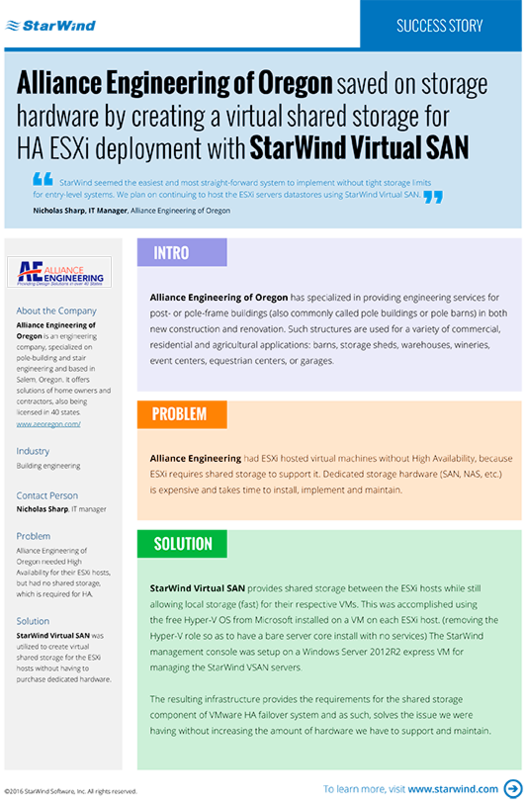 Alliance Engineering needed high availability for their ESXi hosts, but for it they required shared storage. 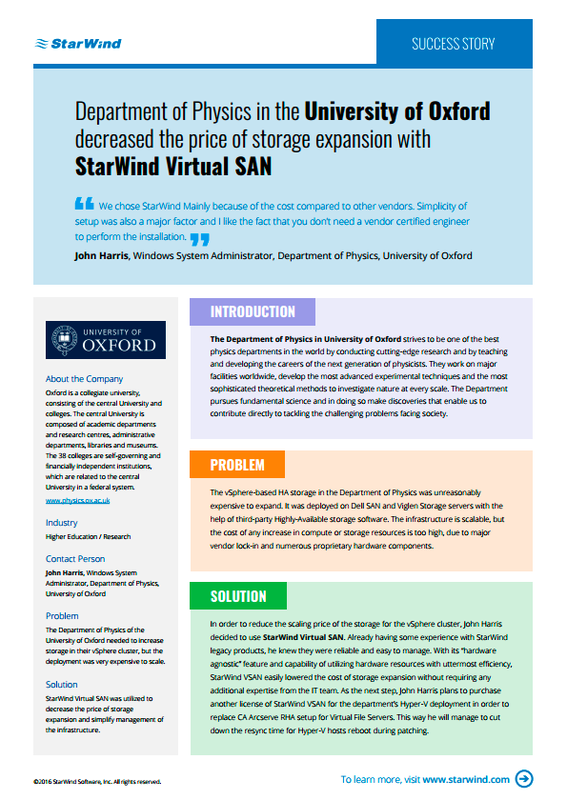 StarWind VSAN provided virtual shared storage and helped to avoid extra hardware expenses. 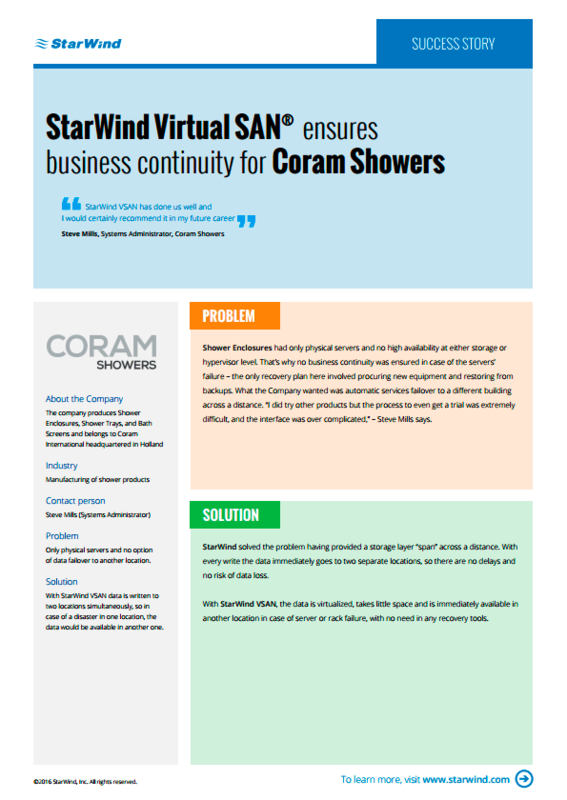 Coram Showers had no high availability at all, so the business continuity was vulnerable. StarWind VSAN has become an appropriate solution here providing simultaneous data writes to two separate locations. Sears Home and Franchise Business was seeking for a shared storage. 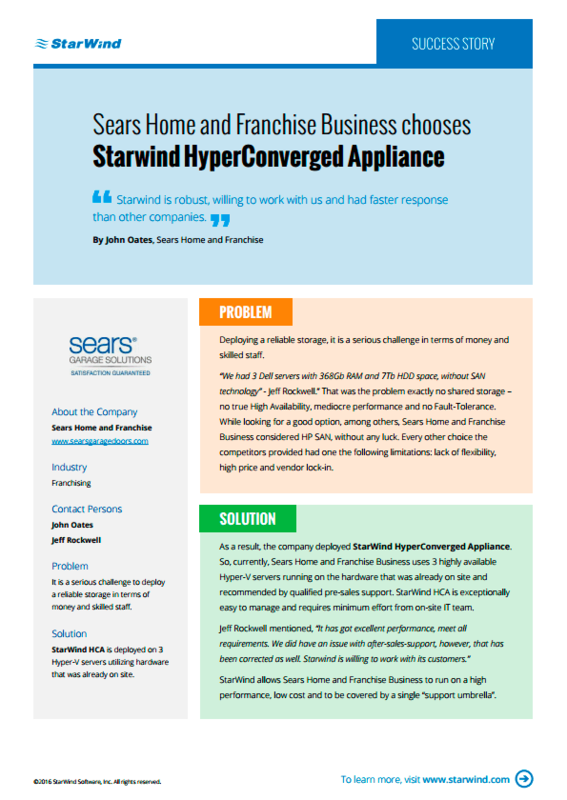 StarWind HyperConverged Appliance satisfied the company's demands due to its high performance, low cost and single point of support. The department of Physics in the University of Oxford needed to expand its vSphere cluster storage, but encountered a few issues on the way. В Such an expansion would be very expensive with the current deployment, because of hardware lock-in and prices. Using StarWind Virtual SAN, they managed to avoid complications and expand the storage without breaking the bank. 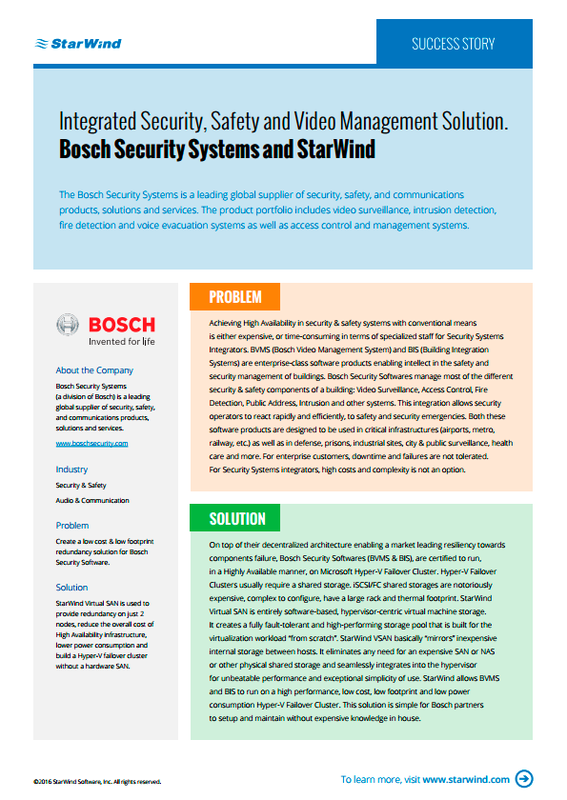 Bosch Security Softwares got Highly Available infrastructure, using StarWind Virtual SAN to build Microsoft Hyper-V Failover Cluster. Moreover, BVMS and BIS achieved redundancy and fault-tolerance of the security system with lowered power consumption and reduced implementation operational and capital expenses. 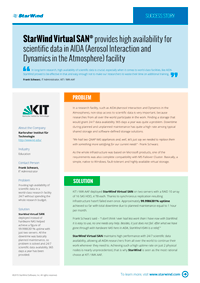 "StarWind Virtual SAN is deployed in AIDA (Aerosol Interaction and Dynamics in the Atmosphere) research facility to ensure high availability of scientific data. The result is a total success with approximate uptime of 99.9986301% and just one hour a month downtime due to planned maintenance. StarWind Virtual SAN provided high performance and 24/7 data availability for scientists from every time zone to continue their research non-stop."